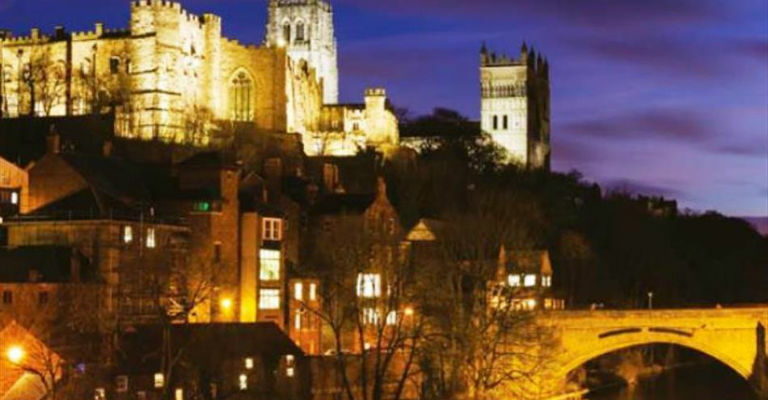 Bill Bryson called it ‘a perfect little city’ and Condé Nast’s Traveller magazine readers voted it the ‘Best city in the UK’ – now Durham City warmly awaits your visit to receive another seal of approval. A captivating city with winding cobbled streets and a prominent peninsula crowned with the dramatic Durham Cathedral and Castle World Heritage Site – one of the most stunning city panoramas in Europe and now home to Open Treasure, the Cathedral’s world-class exhibition experience. Explore the timeless quality of this quintessential old English University City, take some time out with a relaxing riverside walk or river cruise, or soak up the atmosphere with superb cafés, artisan workshops, boutiques, galleries and museums. Watch the world go by in one of the city centre cafés, shop for gourmet treats, locally produced food or original crafts in an array of shops and markets, or find city-centre calm at one of the city’s many green spaces.